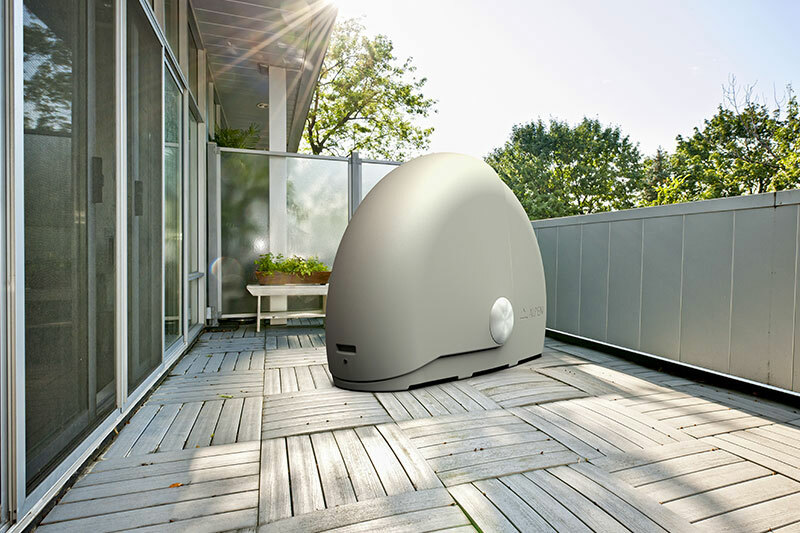 When you see an Alpen Bike Capsule in a back yard or on a patio, rest assured, it's just a piece of roto-molded polyethylene safe storage for bicycles. Well, either that or part of an army of giant snails preparing an offensive to drown us all in slime. 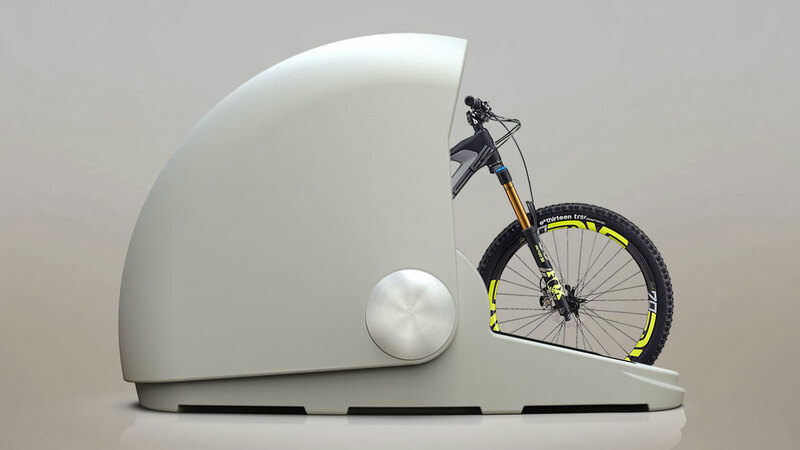 The Alpen Bike Capsule presents as a solution for cyclists with limited space, or limited secure areas, to store their bicycles. 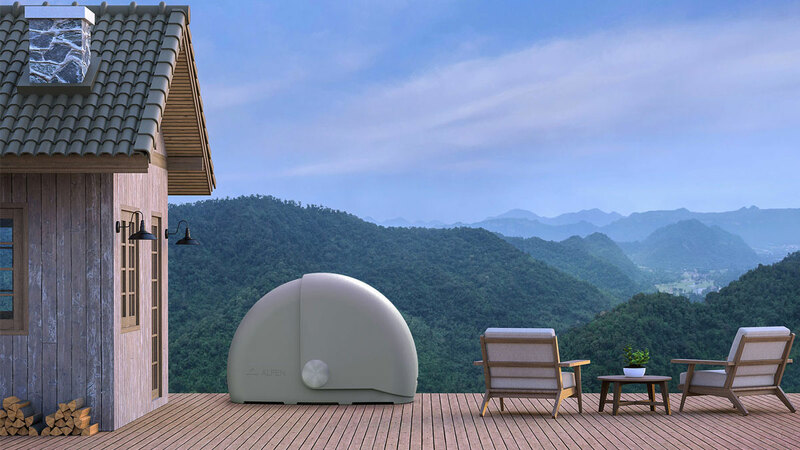 The shed's shell is designed to be waterproof and virtually indestructible, and comes fitted with an integrated lock-and-key mechanism for security if you're placing the capsule outside or in a common area of an apartment building or parking garage. The bottom of the Capsule bolts to the ground. With its arcing, snail-shell shape and muted gray finish, the Alpen Bike Capsule is also one of the least ugly storage solutions I've seen for bikes. 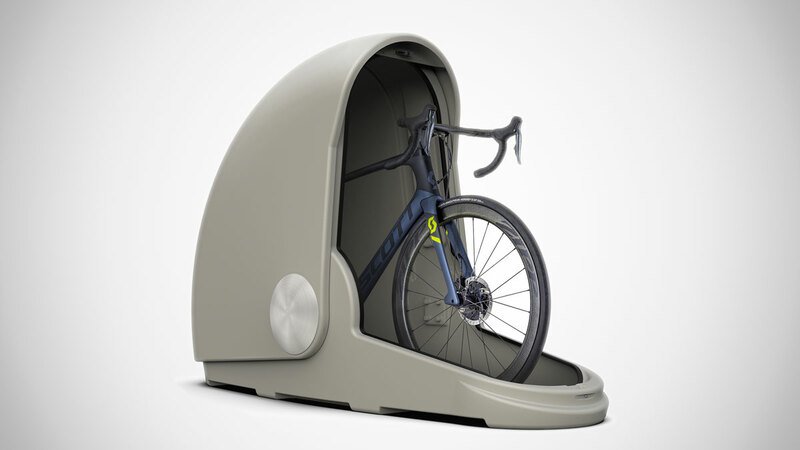 Right up there with VELOSOCKS, though the latter don't solve the problem of lacking secure indoor storage space. The Alpen Bike Capsule is sized to fit almost any style of bicycle, including mountain bikes with wide handlebars, and has additional storage space for helmets, lights, extra tubes and saddles, and other bike accessories. 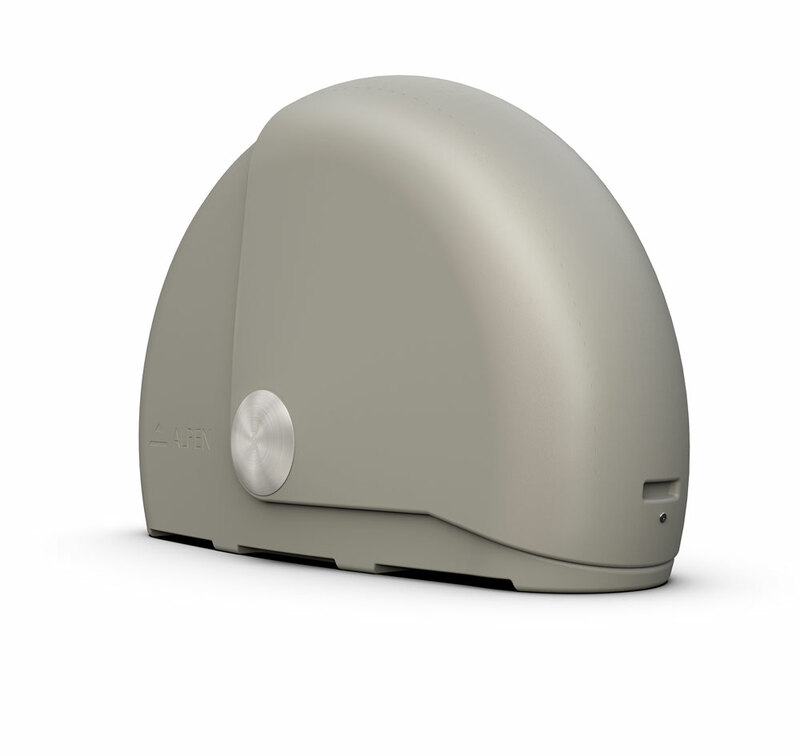 At printing, the Alpen Bike Capsule was available for pre-order at a discounted rate, with delivery expected sometime in Summer 2018.